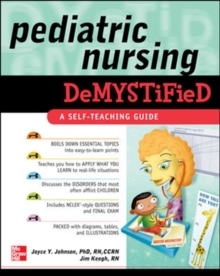 The quick and easy way to learn the concepts and major theories of pediatric nursing - and how to apply them to real-world situationsIf you're looking for a fun, fast review that boils pediatric nursing down to its most essential, must-know points your search ends here! 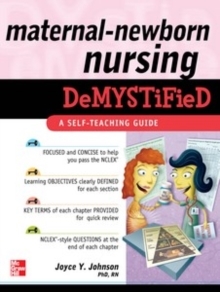 Pediatric Nursing Demystified is a complete yet concise overview of all the important pediatric nursing concepts and the disorders that most often afflict infants to adolescents. You'll also learn how to apply those principles to real-life clinical situations. 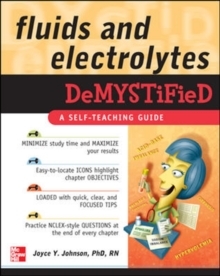 In order to make the learning process as easy and effective as possible, you'll find learning aids such as chapter objectives, key terms, a brief overview of each topic, content summaries, chapter-ending questions, numerous tables and diagrams, and a comprehensive final exam that includes NCLEX-style questions covering all the content found in the book. 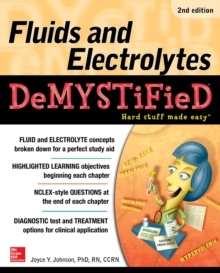 Great for course exams and as an NCLEX review!